›Cal Mil 1711-5-60 Iron Black Square Riser with Bamboo Top - 12 x 12 x 5 in. 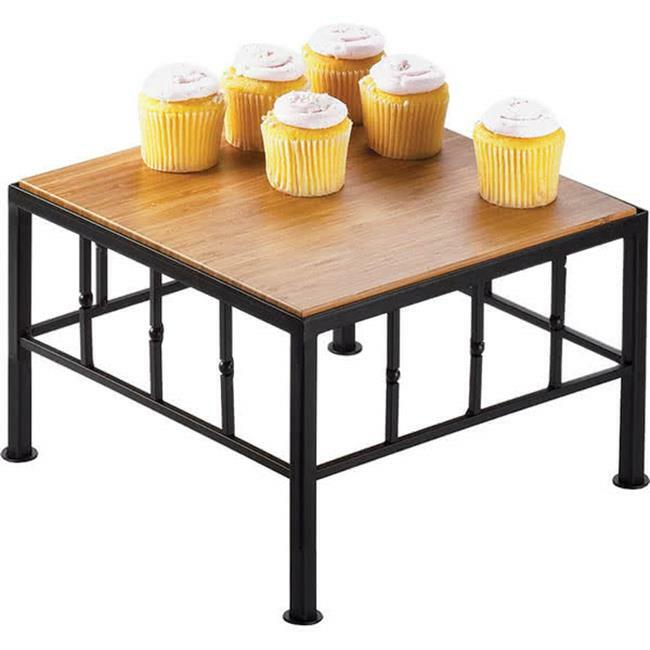 Cal Mil 1711-5-60 Iron Black Square Riser with Bamboo Top - 12 x 12 x 5 in. Add dimension and style to your food presentation with these bold iron risers that feature eco friendly bamboo tops. Accented by a black, iron base, this product perfect for displaying delicious appetizers and mouth-watering desserts.